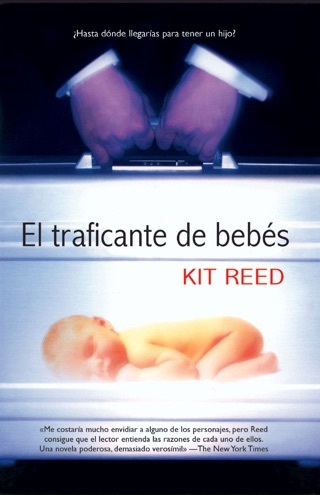 A motorcycle gang of nuns rides out on a mysterious rescue mission in this dazzling work of metaphysical science fiction by Kit Reed. This scarifying trip into the near future provides an extraordinary look at women in the contemporary world. Marooned on Schell Isle in a pre-apocalyptic near future, the women are waiting. The men have all gone to war - the ultimate sexist act. When he comes back will he be welcomed? It's an open question. But today is the day everything begins to change. What unknown force is rushing towards the island? What do the women have to fear? Is it the murderous Outlaw family, riding their way and bent on revenge, or the men, or an enemy within? But the bikers are coming: sixteen in all, in black helmets emblazoned with a silver cross, metaphysical infonauts who run computer programs in a ceaseless search for the name of God. They pray for the dead and when they have to, they ride out on their bikes to defend the living. Until they lift the face plates you will not know who they are. Watch out for them. The Little Sisters of the Apocalypse. In Reed's 14th novel, autobiography shanghais fantasy and scuttles it, in prose that is sometimes energetic, sometimes awkward. ``K.,'' whose mother is dying, makes up a story of the future, in which the men of Schell Isle have gone to war without saying where they went. Five years later, their women are so independent and embittered that half have armed themselves against the men's return. 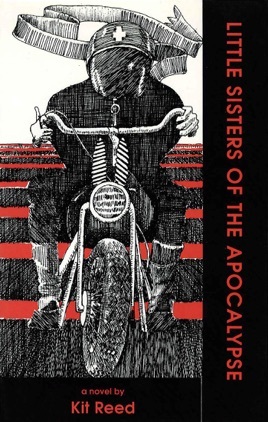 Threatened by internal dissension and external attack, they are aided by an order of motorcycle-riding, computer-hacking nuns, the Little Sisters of the Apocalypse. Meanwhile, in interpolated autobiographical snippets, K.'s mother and two good friends die. The denouement of the fantasy is that there is no convenient apocalypse. In fantasy or the real world, life goes on and so do we. The fantasy and K.'s autobiography complement one another to provide this moral, but the fictional world is incomplete and cartoonish. Her vivid characters, once they have advanced the plot, are dumped like unwanted toys, and K.'s austere authorial voice reels off a list of observations on life and art that are unfortunately shallow. 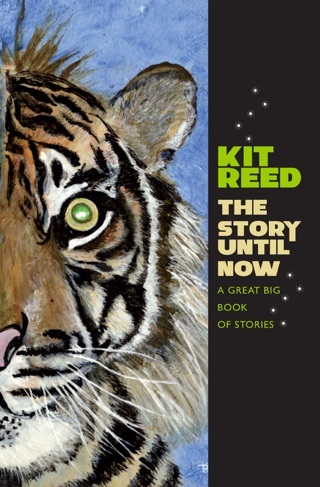 Had Reed not twisted the novel to fit her purpose, it might have been lots of fun, and had a meaning of its own.